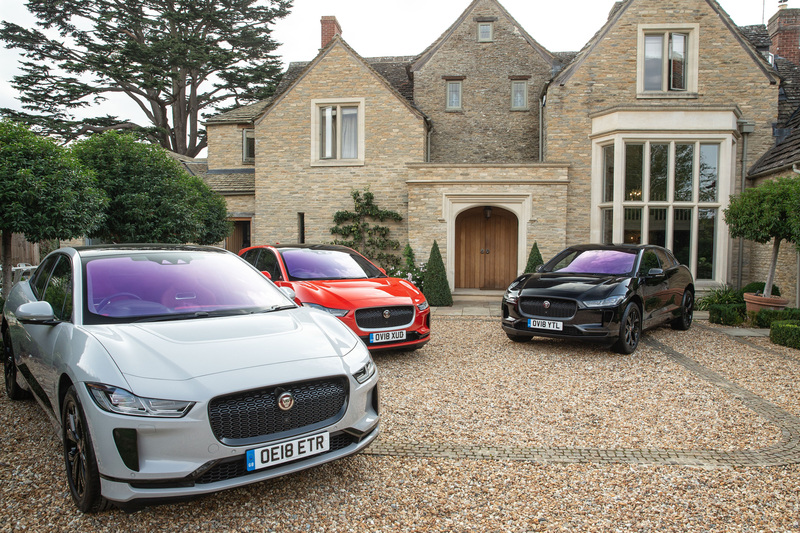 The new Jaguar I-Pace has added German Car of the Year to its extensive list of accolades and awards. Yes, we’ve beaten the Germans on their own turf with the Jaguar I-Pace – arguably the most important car release of 2018. It’s no small achievement and no small task for the I-Pace. 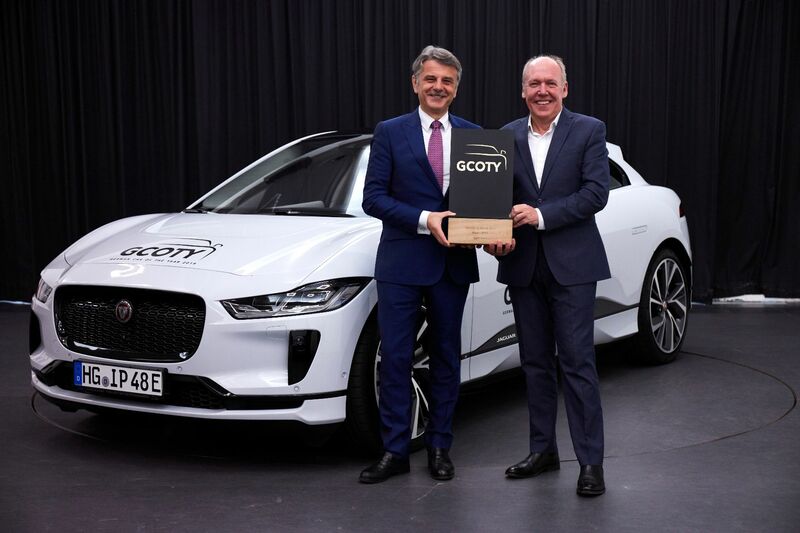 Given another 58 cars to compete with and a panel of 12 expert journalists to impress, Jaguar’s first EV had its work cut out to grab the inaugural gong. Indeed, the car is an impressive achievement by Jaguar before you ever get behind the wheel. Nearly 300 real-world miles on a charge, class-leading and genre-defining cabin space, classic Jag good looks. All over six months in advance of key German rivals that, when they presented alternatives, didn’t match the I-Pace’s specs. The German judges were impressed. 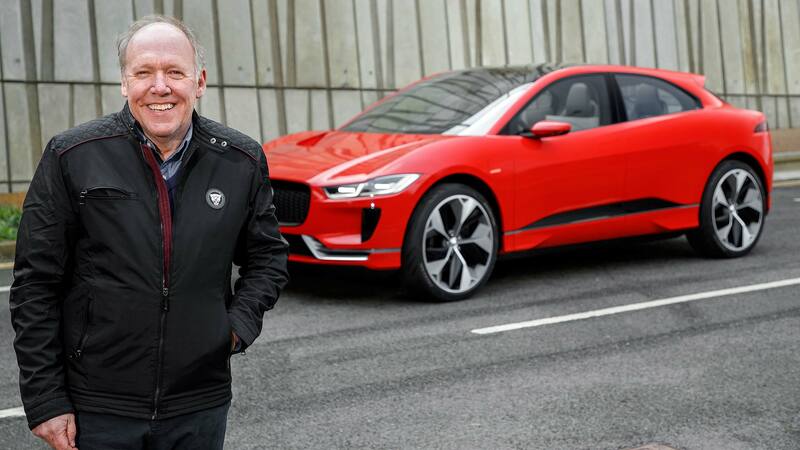 “The Jaguar I-Pace is not only the first premium electric vehicle from an established manufacturer, it also makes uncompromising use of the advantages of an electrified vehicle architecture,” said Jens Meiners, German Car of the Year award jury member and spokesman. 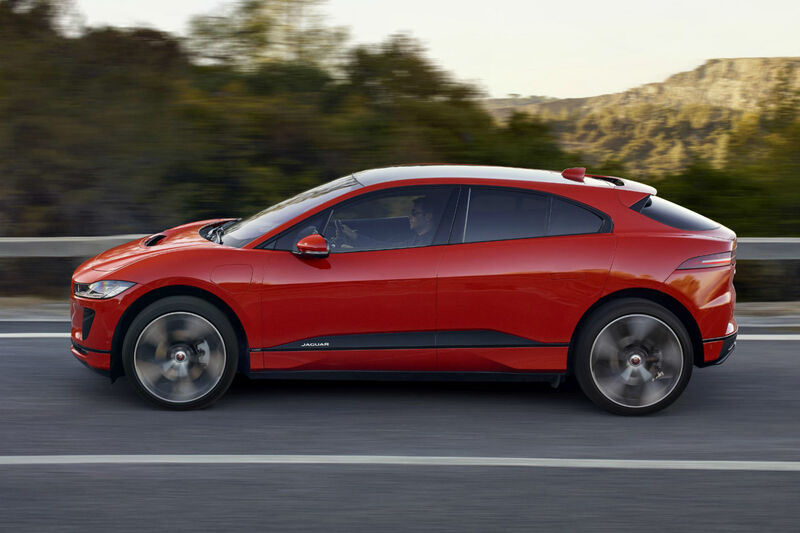 Driving the I-Pace yields no disappointment, either, displaying the dynamic prowess and pleasing experience you would expect from a big cat. This, among its appealing design and practical credentials, helped earn it this latest praise. 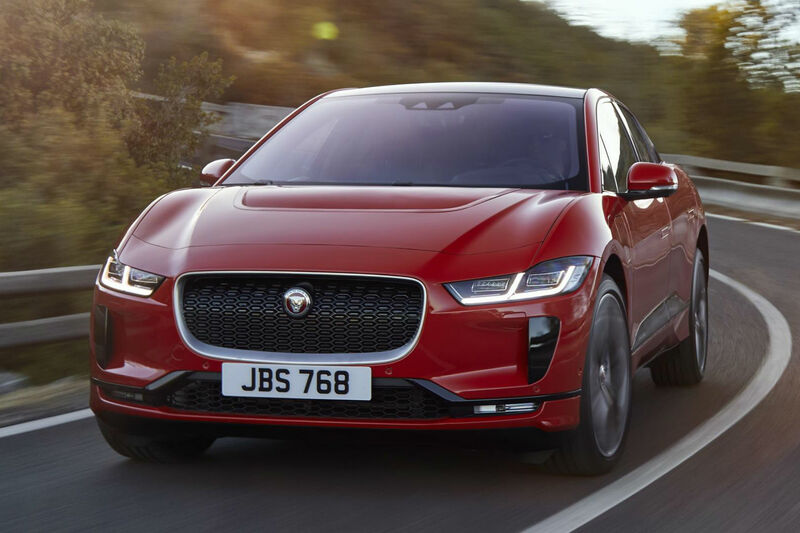 Our first taste of Jaguar’s electric I-Pace SUV on UK roads – how does it stack up versus a Tesla Model X? Jaguar’s I-Pace is already a front-runner for most exciting car of 2018. The 400hp electric SUV will be fast, spacious and environmentally-friendly. Plus, if this concept version is an accurate guide, it will be stunning to look at, too. 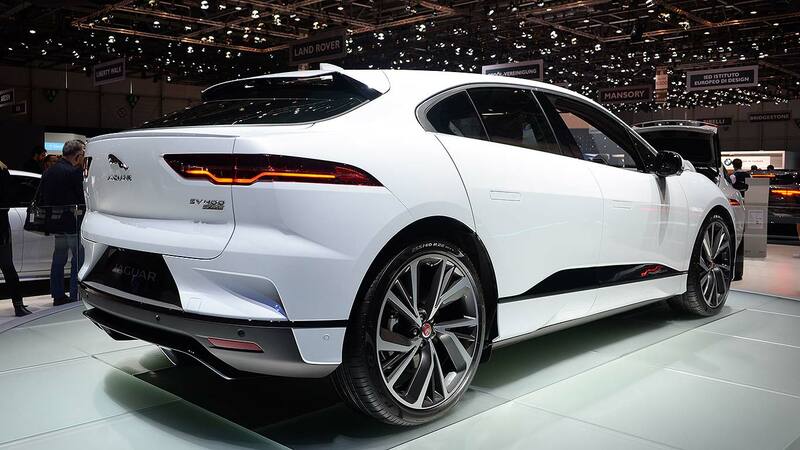 The I-Pace concept was revealed at the Los Angeles Auto Show, but it’s now been spotted in the wild for the first time. Fittingly for a car Jaguar describes as a ‘long-distance sprinter’ the venue for this carefully-managed PR stunt was London’s Olympic Park. Looking resplendent in its new Photon Red paintwork, the I-Pace (which wasn’t wearing number plates, despite being ‘on the road’) posed for photos next to the Lee Valley velodrome and in moody strip-lit car parks. 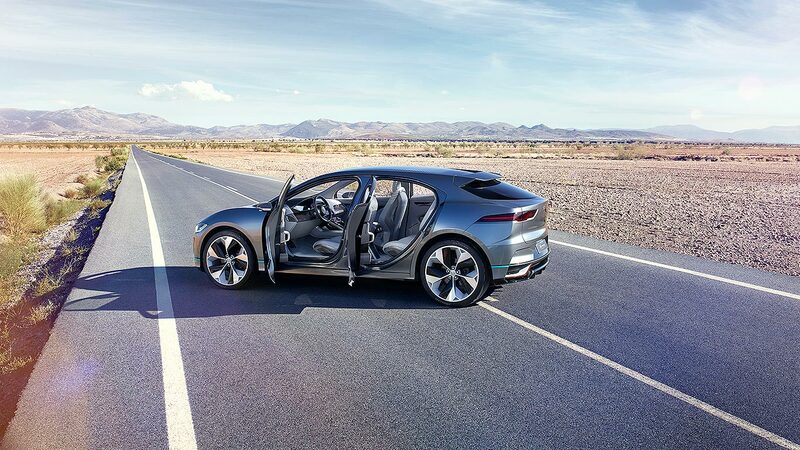 The four-wheel-drive I-Pace is powered by a 90kWh lithium-ion battery and can hit 60mph in around four seconds. Charging to 80 per cent capacity takes just 90 minutes and a range of more than 300 miles is promised. The production I-Pace will be shown later this year, with sales starting in the second-half of 2018. Interested? You can register on the Jaguar website now to be among the first owners. 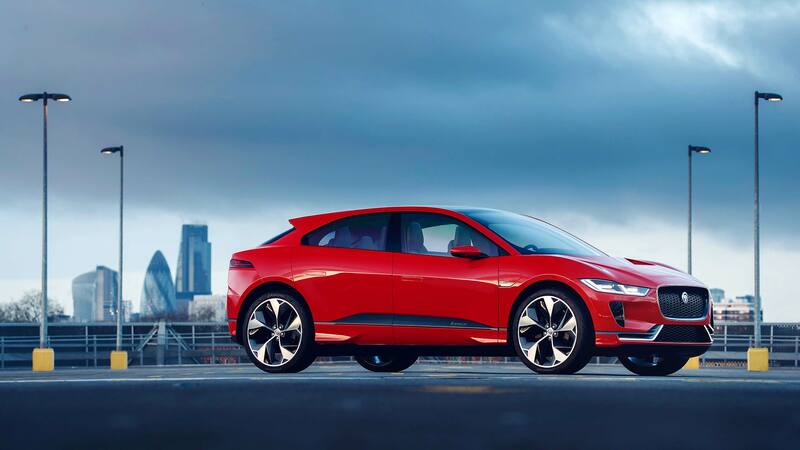 The Jaguar I-Pace Concept SUV is the British sports car firm’s first ever electric car – and if you already like the look of it, get ready: Jaguar will roll out the production version in 2017, and promises the new I-Pace will be on our roads by 2018. 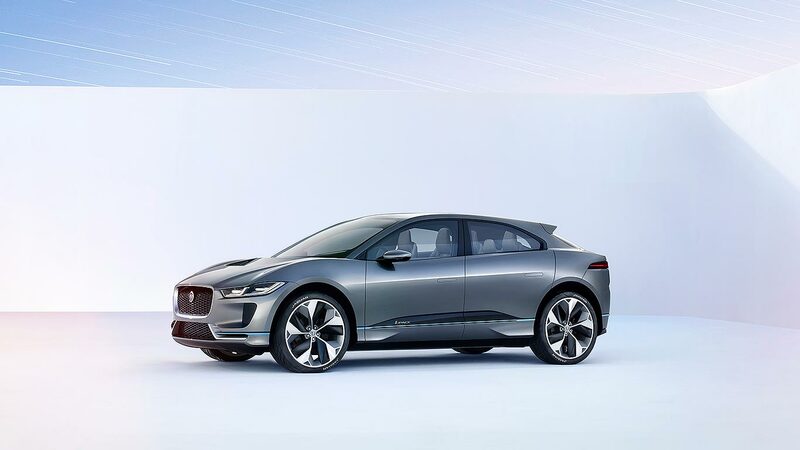 Jaguar has revealed the i-Pace Concept electric SUV ahead of the 2016 LA Auto Show: it will make the car the star of its show stand later this week. 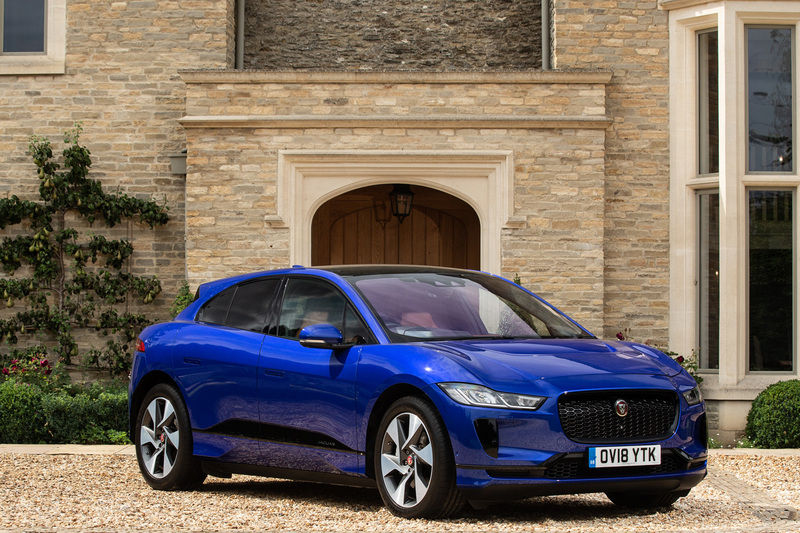 We reckon it’s already odds on to be the star of the show: with a 310-mile range, 0-60mph in 4.0 seconds, roomy and luxurious five-seat interior plus styling that’s a different take on a Jaguar, there’s lots to get excited about here. 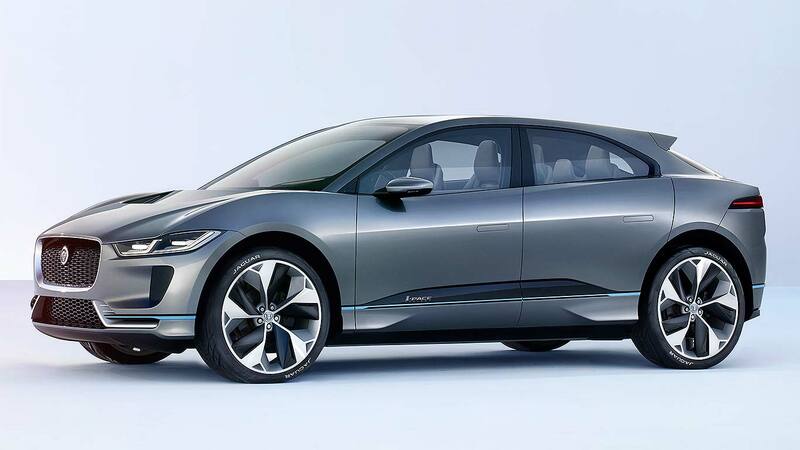 Jaguar reckons it has rethought the car with the I-Pace Concept. The cab-forward design references the C-X75 supercar (driven by baddie Franz Oberhauser in Bond’s Spectre), rather than being a conventional car with a bonnet. It’s tall, like an SUV, but has a silhouette more like a sports car. It seats five and is smaller on the outside than sector rivals such as the BNW X5, but bigger inside than all of them. And all because it’s electric. Because there’s no combustion engine, the wheelbase can be longer (almost 3 metres, in fact – longer than a Smart Fortwo is overall! ), the overhangs shorter. The rear haunches can be more aggressive. 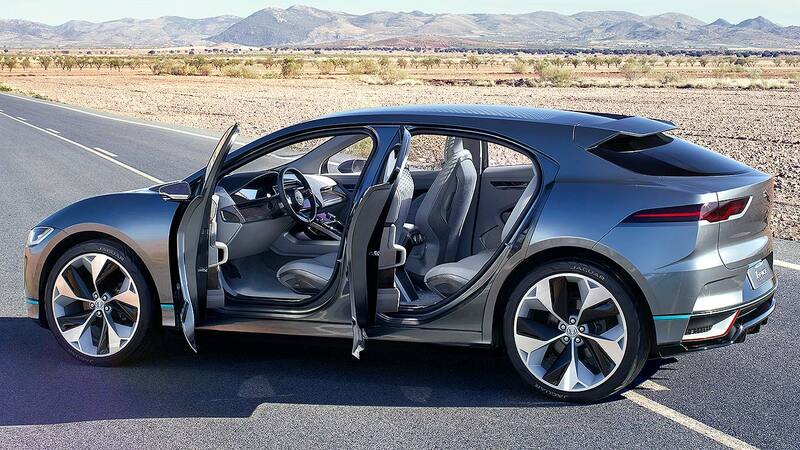 There’s more interior space, better visibility and improved aerodynamics. Jaguar says the exterior mimics mid-size SUVs, but rear legroom matches full-size SUVs and luxury cars. 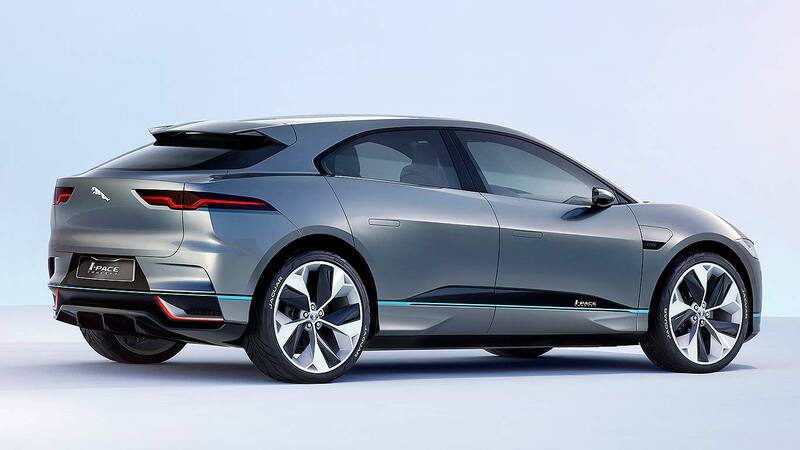 Design highlights of the Jaguar I-Pace Concept include the low cabin, sporty windowlines and heavily curved glass, the ultra-low (for an SUV) bonnet. It’s as aerodynamic as it looks: the Cd drag factor is just 0.29. 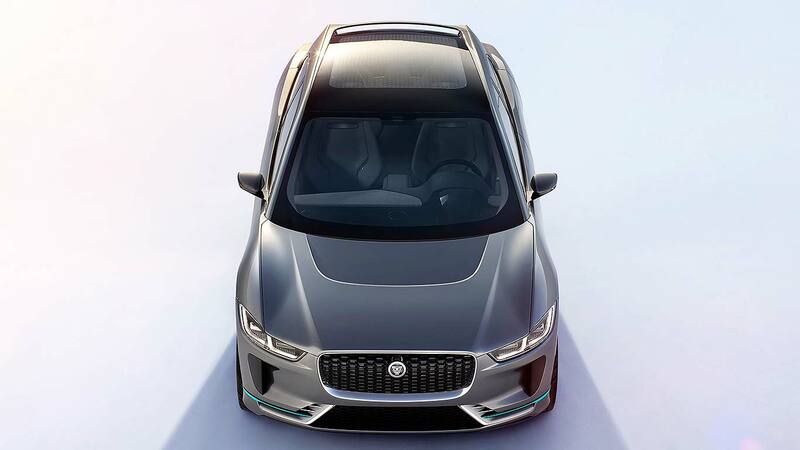 At the front, the current Jaguar brand grille is retained, and there’s a C-X75-style bonnet scoop that cuts drag. At the rear, there’s no wiper, just a ‘fast’ tailgate shape and hydrophobic glass. 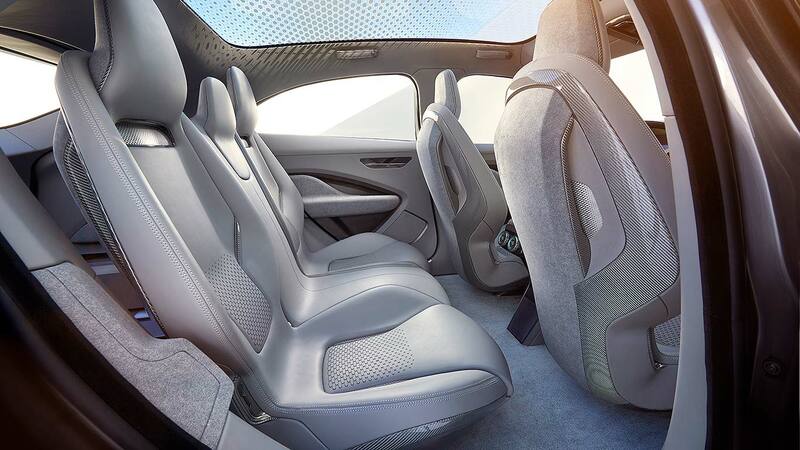 The I-Pace Concept seats five within a cabin that’s as futuristic-Jaguar as the outside. Interiors has been a weakness of the new-era of Jaguars up to now; only the F-Pace really passes muster. 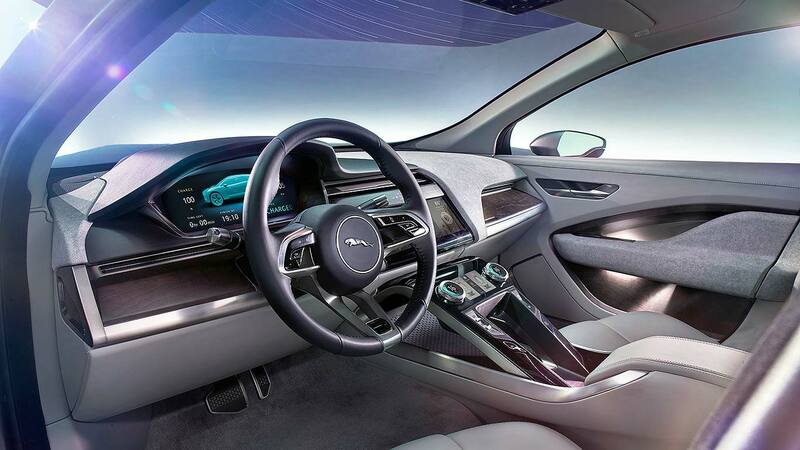 The I-Pace Concept is a massive leap forward and suggests future Jaguar interiors are going to be as appealing as the exteriors. Airy, sporty, contemporary and visually appealing, it’s a clever, warm cabin that Jaguar is rightly already chuffed with. Jaguar says the I-Pace Concept launches its new ‘flightdeck’ interface for driver controls. There’s a floating centre console, simple and clear displays, plus a combination of touchscreens, rotary dials and multi-function buttons: Jaguar hasn’t gone fully-digital here. There are smart capacitive switches on the new-design steering wheel, invisible until activated, which respond to the driver with haptic ‘micro-clicks’ when pressed. A bit like an iPhone. 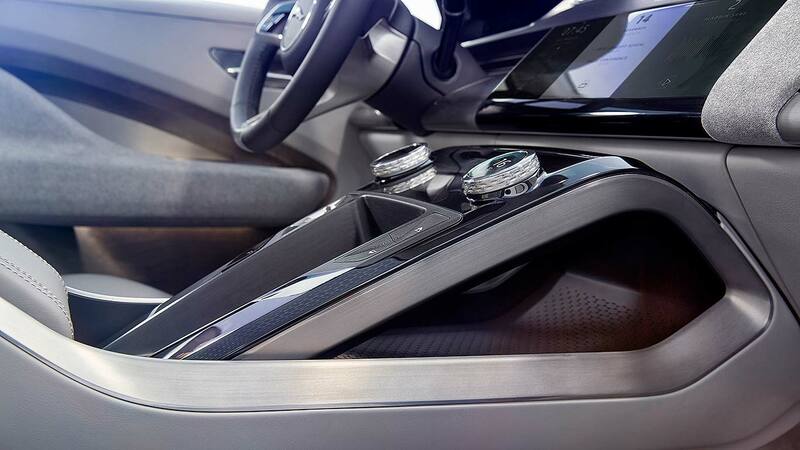 Because there’s no transmission, there’s a clever 8-litre stowage area in the centre console. And no transmission means no traditional gearlever, so there’s an extra stowage area where that would normally sit. Jaguar calls the seats ‘luxury slimline’ pews and calls the driving position ‘sports command’. Higher than normal, but still sporty-feeling. Jaguar’s using some gorgeous contemporary materials within the I-Pace Concept. The burl wood on the dash is laser-etched with the (slightly cheesy) words ‘Lovingly crafted by Jaguar Est. Coventry 1935’. Paw-print labels are stitched into the seat seams (Jaguar, geddit?). 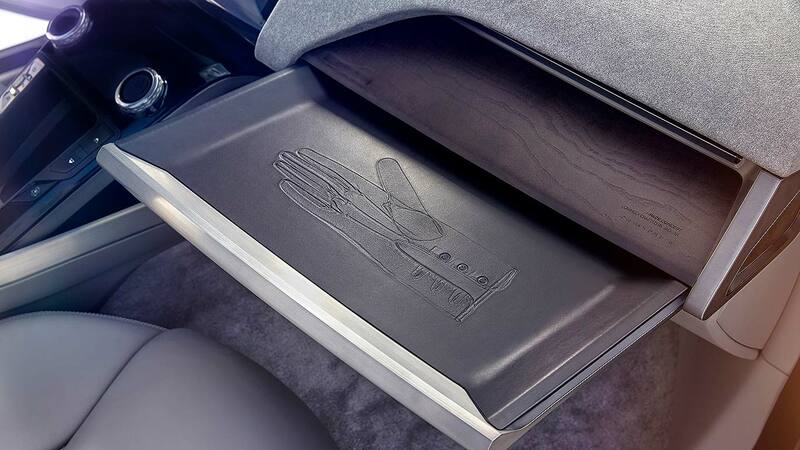 There are laser-etched driving gloves on the slide-out passenger shelf. The Jaguar lozenge pattern features throughout. It’s luxury, boutique-like attention to detail we hope carries through to production. 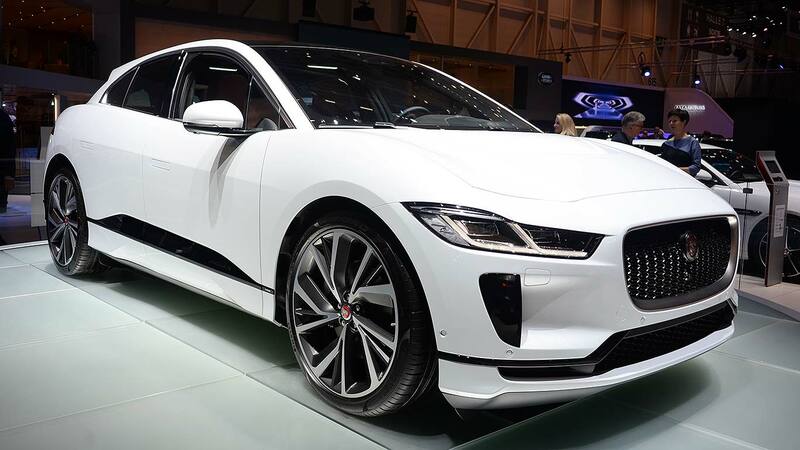 The Jaguar I-Pace Concept uses dual 200hp electric motors, one on the front axle and one on the rear. That means a combined 400hp and 516lb ft of torque, sent to all four wheels. Jaguar says 0-60mph in 4.0 seconds, so faster than a cooking Porsche 911. There’s also no lag and no gearchanges, simply seamless surge. It’s going to be an exciting performer, alright. 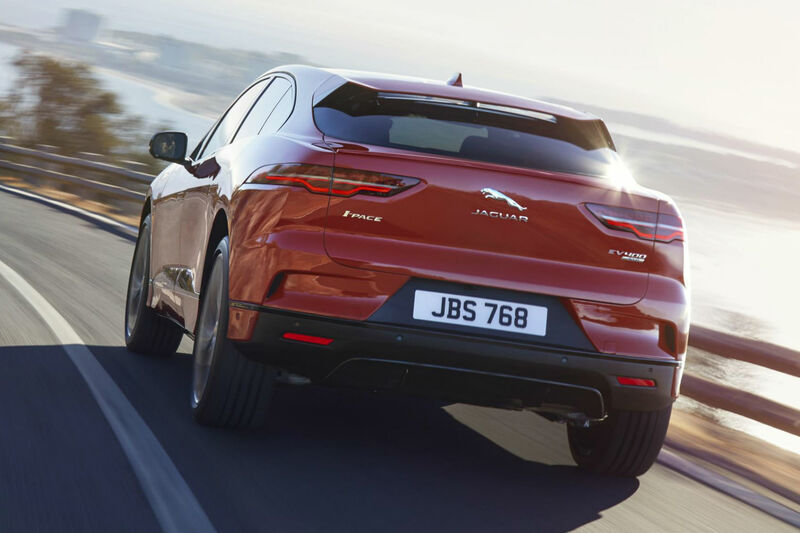 Jaguar has fitted the same type of double wishbone front suspension as on the F-Type to the I-Pace Concept. Sports car suspension for a sports car SUV, it insists. 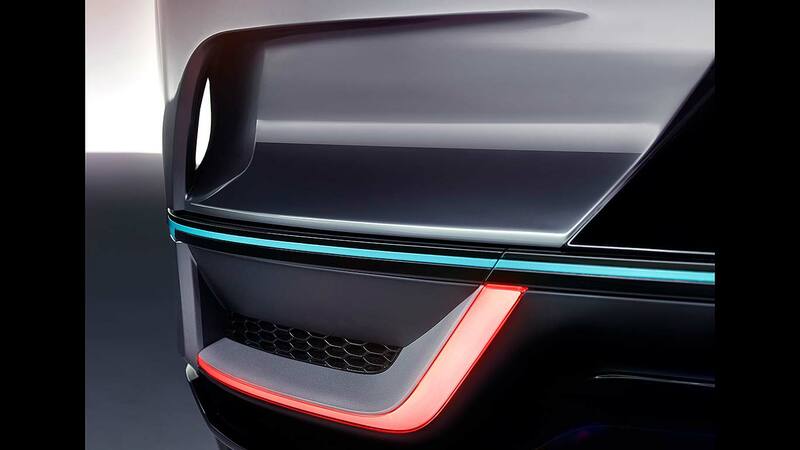 With a low centre of gravity and centralised masses from having the batteries packed low within the wheelbase, chief engineer Mike Cross is promising “this will be the first electric vehicle developed for enthusiasts who love driving”. 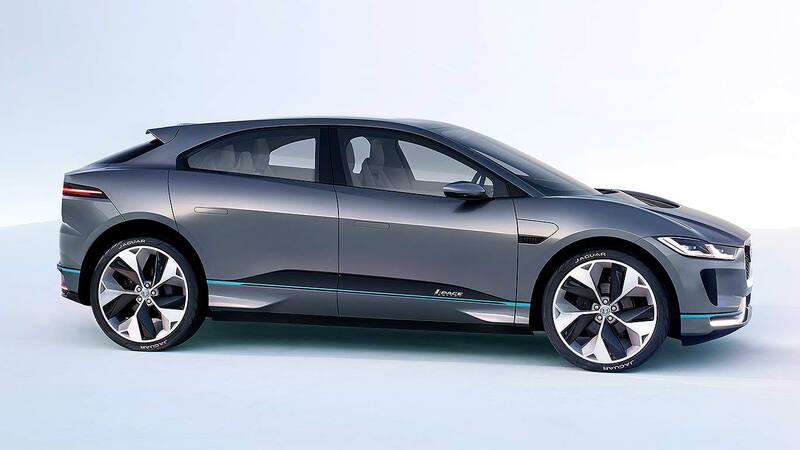 The Jaguar I-Pace Concept, as mentioned, is a seriously roomy five-seat SUV, insists Jaguar. Moving the front-seat occupants forwards has created more space for those in the back. And in the boot: it’s a practical 530 litres with the seats up, despite the need to pack batteries in. And because the front electric motor is space-efficient, there’s even another small 28-litre boot in the front, a bit like a Porsche 911. Tesla’s electric cars set the benchmark for EV driving range. The Jaguar I-Pace Concept is able to measure up though. On the European NEDC cycle, the range between battery charges is over 310 miles; on the U.S. EPA cycle, it’s over 220 miles. For the average commuter, that means once-a-week recharges. A fast charge will top up the 90kWh lithium ion battery pack to 80% full in 90 minutes. 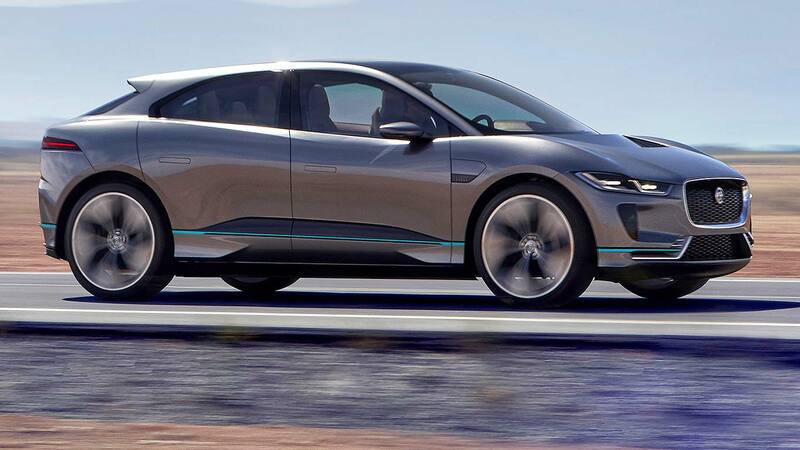 The Jaguar I-Pace Concept is not just a concept! The Jaguar I-Pace isn’t some flight of fantasy either. 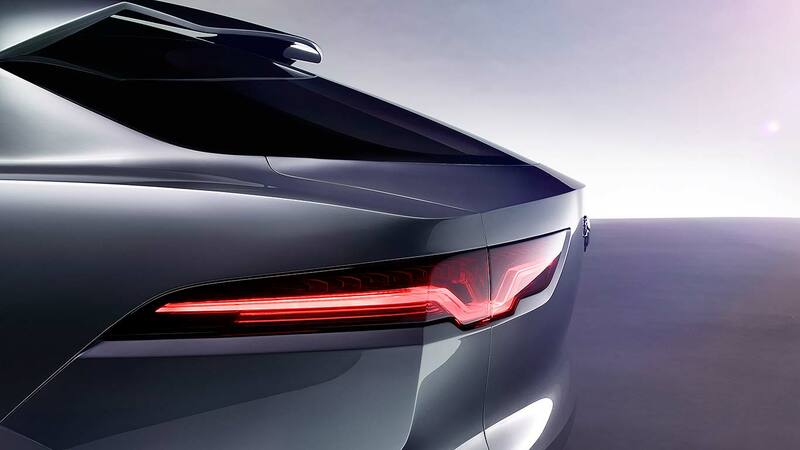 “It is a preview of a five-seat production car that will be on the road in 2018,” confirms Jaguar. 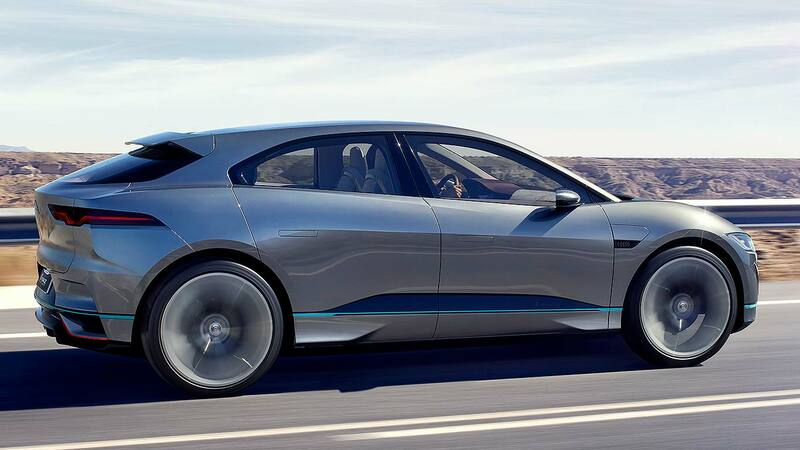 “This will be Jaguar’s first-ever battery-powered electric vehicle.” Yes, things are happening fast: so fast, the production version will be fully revealed before next year is out. The Jaguar I-Pace performance electric SUV is coming, soon. Want one yet?